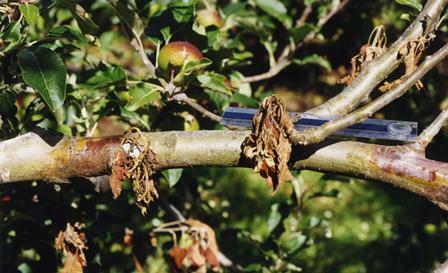 Apple crown rot is caused by Phytophthora cactorum. They can cause 1 – 20% tree loss within the first three years of planting, and ongoing losses from there. This significantly impacts New Zealand’s second largest fresh fruit export, worth $500 million per year. The pathogens can attack all parts of the tree: root, crown (root-trunk junction) and collar (scion). They can also cause fruit rots and shoot blights, and sub-lethal ‘root nibbling’ which has an ongoing effect on productivity. Phytophthora cactorum has a wide host range and is present in most apple orchards. Resistant root stocks are considered the best long-term strategy for control.